In a first, the Election Commission has imposed a nationwide campaign ban on Uttar Pradesh chief minister Yogi Adityanath and SP leader Azam Khan for 72 hours and on Union Minister Maneka Gandhi and Bahujan Samaj Party chief Mayawati for 48 hours from Tuesday for their “provocative” communal remarks, which it said had the “propensity to polarise the elections”. While Adityanath, Mayawati and Gandhi were found guilty of violating the model code, EC said Khan, who also faced a state-specific ban during 2014 polls, not only violated the poll code, he also disregarded its directive asking politicians to desist from “deeds or actions construed as being repugnant to the honour and dignity of women”. 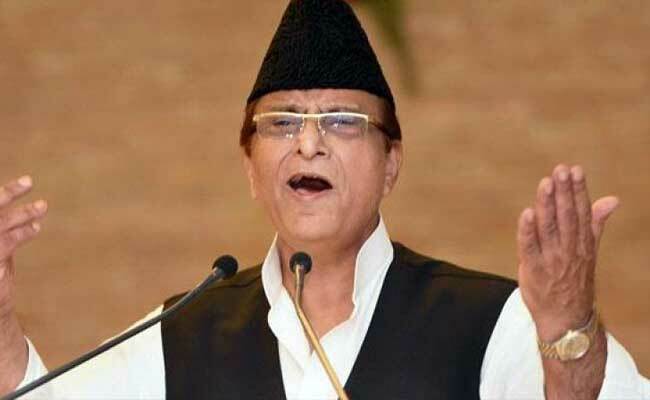 “…the Commission has observed that Azam Khan has not changed his way of campaigning and he is still indulging in using very objectionable language in election campaigning,” the order said “reprimanding him”. In its order on Adityanath, the Commission said it “strongly condemns” the impugned statement made by the UP chief minister and “censured” him for “misconduct”. Using its powers under Article 324 of the Constitution, the EC barred them from “holding any public meetings, public processions, public rallies, road shows and interviews, public utterances in media (print, electronic and social media) in connection with the ongoing elections for 72 and 48 hours from 6.00 am on April 16”. “This is the first show cause and action against the BSP president and the Union minister… the severity of the action is, therefore, different,” he said. Mayawati was issued the notice for her speech in Deoband, where she appealed to Muslims to not vote for the Congress. The BSP chief had violated the Model Code of Conduct, the poll panel found. Adityanath was served the notice for the “Ali” and “Bajrang Bali” remarks he made while addressing a rally in Meerut. He compared the Lok Sabha elections to a contest between ‘Ali’, a revered figure in Islam, and Bajrang Bali (another name of the Hindu god Hanuman). The poll panel also observed that being the chief minister of a state, Adityanath has an “added responsibility to not only uphold the basic tenets, including secularism, of the Constitution of India, but also to display the same in his public appearances”. The order said, the EC is convinced that Adityanath made a “highly provocative” speech, which had the “tone and tenor” to aggravate existing differences or create mutual hatred between religious communities. 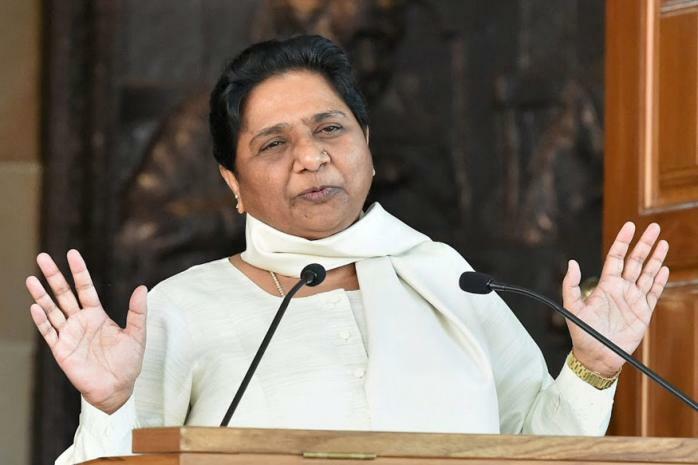 The poll panel told Mayawati that being a senior leader, she should have “desisted” from making such comments that have the “undertone and propensity to polarise the elections” in several constituencies due to the reach of the media. A poll rally of the BSP chief, which was scheduled in Ahmedabad on Wednesday, was cancelled following the Election Commission order. During the Lok Sabha polls of 2014, Khan had faced a ban for campaigning in Uttar Pradesh for his religious remarks. Now BJP chief Amit Shah also faced a similar ban in 2014, but later it was lifted after he assured the poll body that he would not disturb public tranquillity and law and order. Since Khan had not given a similar assurance, the ban on him had continued. 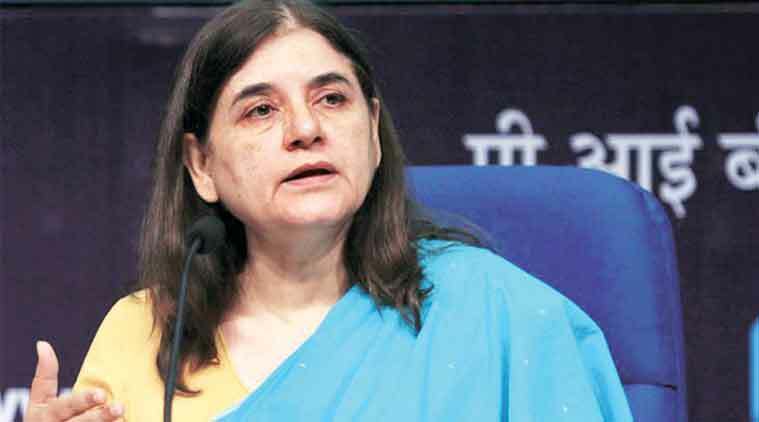 Maneka had on Thursday last told Muslims to vote for her as they will need her once the Lok Sabha elections are over. “We are not Mahatma Gandhi’s children that we keep giving and not get anything in return,” she said in Sultanpur’s Muslim-dominated Turabkhani area. Targeting BJP’s Jaya Prada, Khan at a rally on Sunday had said, “…the underwear beneath is of khakhi colour”. Previous articleMeet Sadhvi Pragya, honourable Malegaon blast accused, joins BJP; who is she? When Varun Dhawan took a selfie and paid Challan after that.